Designed by Xavier Dupré in 2003. Published by FontFont. FF Angkoon supports up to 50 different languages such as Spanish, English, Portuguese, German, French, Italian, Dutch, Swedish, Finnish, Danish, Irish, Basque, Icelandic, and Luxembourgian in Latin and other scripts. We shouldn’t live everyday like it’s our last, but like it’s our first. Be curious, be open-minded. 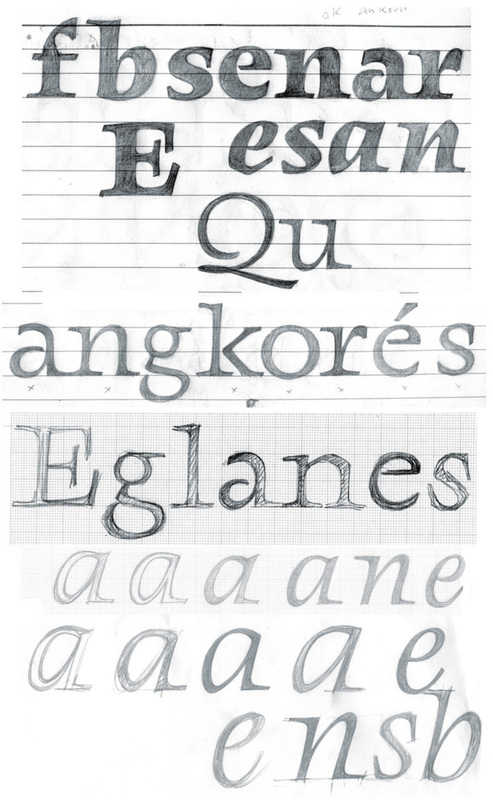 FF Angkoon is fits into the French tradition of personal, idiosyncratic type design, exemplified by faces like François Ganeau’s Vendôme or Albert Boton’s Eras. 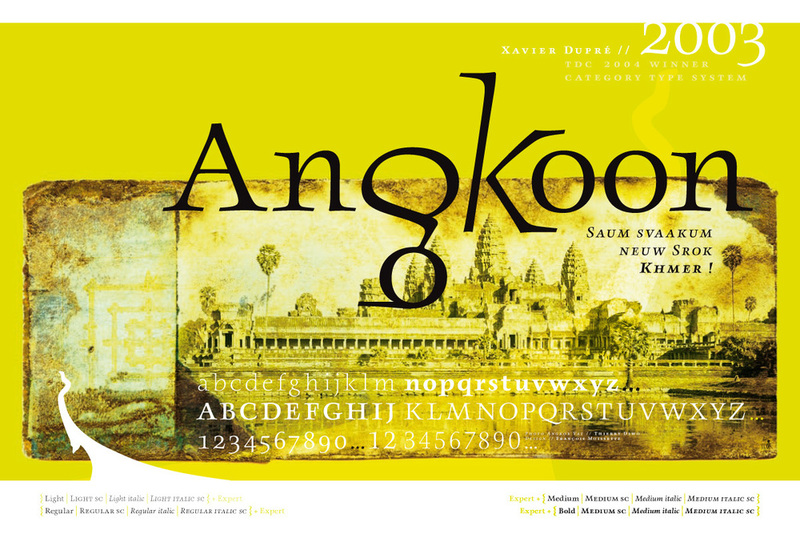 There is also a non-Western influence mixed in: Xavier Dupré created FF Angkoon while living and working in Cambodia. Though it was not his intention to capture elements of Sanskrit or characteristics of Angkor temples, he may admit some influence from the elegance of Khmer writing and architecture. 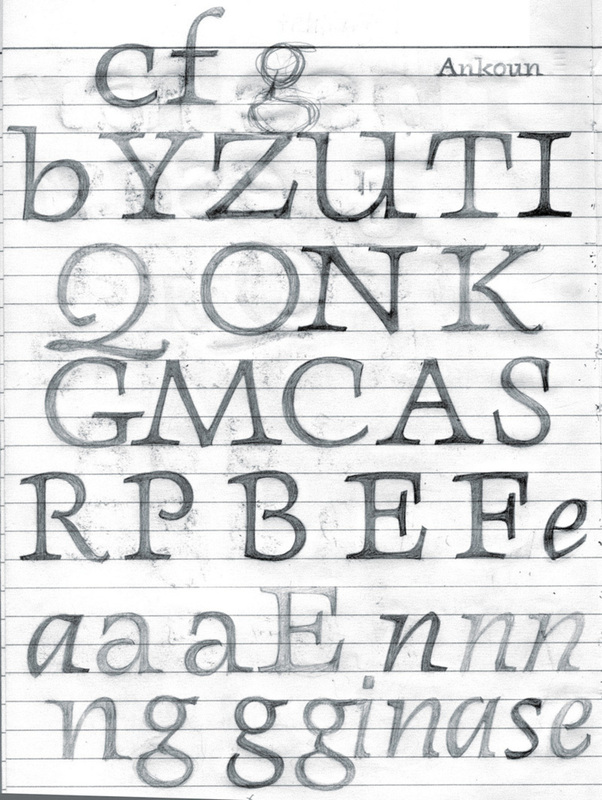 The TDC awarded FF Angkoon a Certificate of Excellence in Typeface Design in 2004.